Following an unfortunate leak earlier in the day that saw its trailer go live a few hours too early, EA Canada has confirmed new FIFA 17 story mode The Journey at the EA Play event last night in Los Angeles. There were plenty of updates and confirmations regarding EA's annual footie simulator, including lots of footage showing the game running on the newly adopted Frostbite engine. With all the buzz surrounding the new PES and its fluid gameplay improvements, the switch to DICE's powerful engine seems like a wise move. The new story mode, The Journey, is a fully-voiced, fully mo-capped campaign where you'll start off as a rookie signing and tackle and shoot your way to Premier League glory. 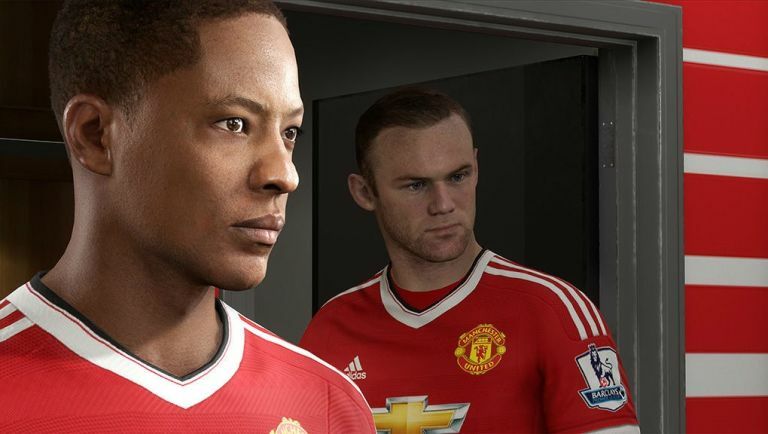 There's no avatar customisation, instead you'll play main character Alex Hunter and guide him through the rise of a football legend in the making. Think of it as something along the lines of the Story mode in the NBA 2K series and you're probably not far off The Journey. Alongside the new mode, EA Canada also confirmed another series first for FIFA 17 - fully-rendered managers. Only those in the Premier League are getting the digital recreation treatment so you'll get 20 men in suits, including Arsene Wenger and newly minted Manchester United boss Jose Mourhino. EA Canada also confirmed that FIFA 17's gameplay has also received some significant changes. The freekick and setpiece system has been fully rebuilt to make those placed shots all the more tactical, with improved AI to make runs at goal all the more fluid and the promise of a greater raft of animations when pressing on offence. FIFA 17 arrives on Xbox One, PS4, PS3, Xbox 360 and PC on 27 September.